Museums, historic sites, and attractions in the Reno area come in a wide variety of flavors. There are museums for children and families, historical sites and parks, and preservation organizations dedicated to keeping Nevada history alive. Reno, Sparks, and northern Nevada museums have activities for the whole family to enjoy. Nevada Museum of Art - The Nevada Museum of Art in Reno is the only art museum in Nevada that has received accreditation from the American Association of Museums. Nevada Historical Society - The Nevada Historical Society (NHS) is the state's oldest museum. National Automobile Museum in Reno - The National Automobile Museum in Reno is among the best of its kind in the world. W.M. Keck Earth Science and Mineral Engineering Museum - The W.M. Keck Earth Science and Mineral Engineering Museum is packed with an amazing collection of mineral specimens, rocks, fossils, photographs, and historic mining artifacts from Nevada. Historic Reno Preservation Society - HRPS programs are free and open to the public. Fleischmann Planetarium & Science Center - The Fleischmann Planetarium and Science Center was the first planetarium in the world capable of showing full-dome movies. Donner Party Park - It was near this spot, in October of 1846, that the emigrant Donner party established a camp and rested before attempting to cross the Sierra Nevada mountains. The Discovery (Terry Lee Wells Nevada Discovery Museum) - Opened in September, 2011. Dedicated to providing learning experiences for children from birth to age 12. The Lake Mansion - This stately old mansion was home to Myron Lake, recognized as Reno's founder, and his wife Jane. Sparks Museum and Cultural Center - The Sparks Museum and Cultural Center has been open for for over twenty five years and is completely volunteer operated and donation funded. There are numerous exhibits and activities throughout the year. 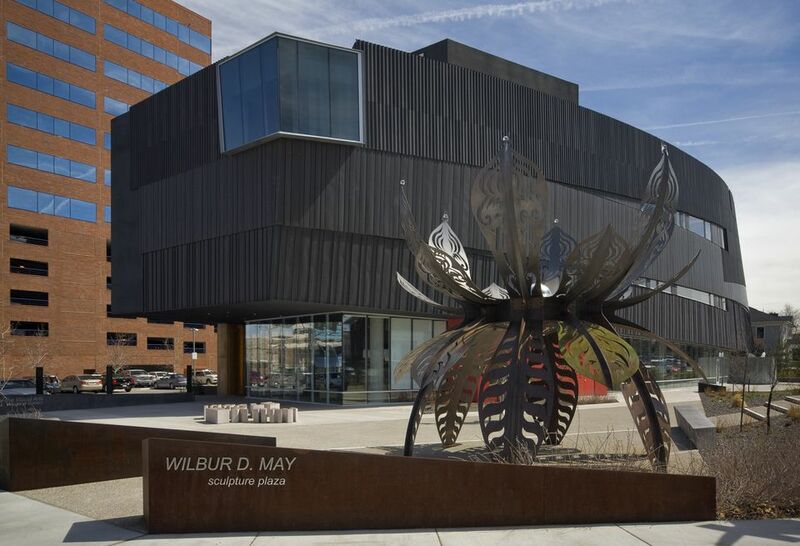 Wilbur D. May Center - The Wilbur D. May Center includes two outstanding sections. The Wilbur D. May Museum presents the incredible collections of May's numerous world travels and life as a Nevada rancher. The May Arboretum is a public garden covering some 13 acres. Both are located in Rancho San Rafael Regional Park. Nevada State Railroad Museum in Carson City - The Nevada State Railroad Museum in Carson City is a first class facility everyone will enjoy visiting. Train, steam locomotive, and railroading history buffs will find a little bit of heaven here, while every other adult and kid can be entertained and educated at this excellent museum. Nevada Historical Markers - Nevada's Historical Marker Program was authorized in 1967, with the purpose of commemorating and bringing to public attention the state's historic heritage. Ride the Virginia & Truckee Railroad - Today's Virginia & Truckee Railroad is an excursion line mostly following the original route between Virginia City and Carson City, Nevada. Fort Churchill State Historic Park - Fort Churchill State Historic Park, a Nevada state park, offers history, camping, hiking and wildlife viewing, all within a short drive of Reno. Nevada State Museum in Carson City - The Nevada State Museum in Carson City preserves the Nevada's natural and cultural history. Mormon Station State Historic Park - The park is located in Genoa, south of Carson City and right up against the east slope of the Sierra Nevada. Comstock History Center - The Comstock History Center in Virginia City houses the Virginia & Truckee Railroad engine #18, the Dayton. Historic 4th Ward School Museum - Follow students' footsteps through the authentically preserved 1876 Victorian school building in Virginia City. Pyramid Lake Paiute Tribe Museum and Visitor Center - Learn about the history and culture of the Paiute people at this museum on the Pyramid Lake Paiute Tribe Reservation north of Reno. Reno Divorce Trade and the Virginia Street Bridge Legend - Reno's divorce trade, the historic Virginia Street Bridge, and the Truckee River are all involved with this enduring Reno legend. Jacob Davis, Reno's Famous Tailor - Riveted Levi blue jeans were invented right here in Reno. Visit Virginia City, Nevada - For Reno area residents and tourists alike, spending some time visiting historic Virginia City, Nevada, is a fun experience. Reno / Tahoe Place Names - Our place names list is mostly from northern Nevada since that is the emphasis at RenoTahoe.About.com, but there are some other Nevada-related titles we think are of interest. City of Reno Register of Historic Places - This City of Reno website describes several sites significant to the history of Reno. Online Nevada Encyclopedia (ONE) - Developed by Nevada Humanities, the ONE is a wealth of historic Nevada information.